If you would like to join shared tea ceremony, we ask you to go to the waiting room next to the tea room in case your baby starts crying or something. I’m sorry for this inconvenience because we need quiet atmosphere during the tea ceremony. Yes, we can prepare western chairs for the guests who have the difficulty to sit on the floor. The number of the chair is 5. Hair-setting for kimono is included? but We can lend you a hair clip, if you would like to set up your hair. If you would like to add hair set, we recommend you to go to Kimono rental shop before coming here. You can take photos in a tea room, waiting room, and beside a small Japanese garden. 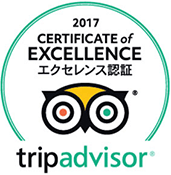 Our capacity is 10 people usually in a tea room of the 1st floor because tea ceremony is held in the small tatami room authentically. But if you were a big tour group, we can open the larger tatami room on the 2nd floor. We can accept 23 people. If you were the group of over 23 people, we recommend you to part in 2 groups, and take turns. 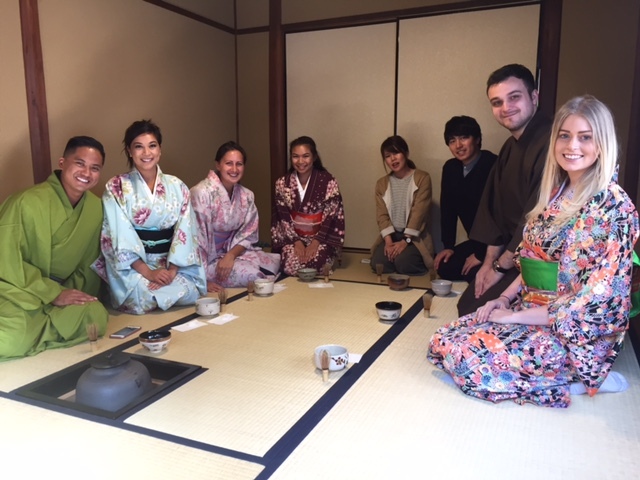 Group 1 visit Kinkakuji temple during Group 2 experience tea ceremony. And take turns. Is it OK to take photos/ Video? But I’m sorry video is not allowed usually. If you use it only for you (Please don’t publish on the You Tube or something), it’s OK. If you were a reporter of the TV, Radio, Newspaper or magazines, we are happy to answer the interview.